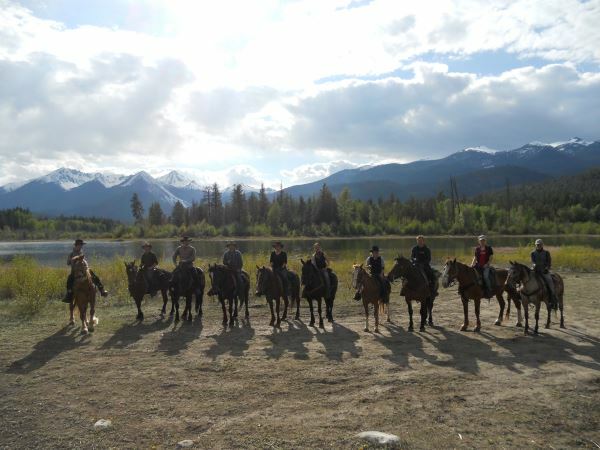 Chilcotin Holidays has been teaching Guide Schools for over 25 years now, and been graduating people into the fantastic world that is being a horseback adventure guide. We love to share our passion of and knowledge about horses, mountains and nature. In all these years we've trained many students who sought the education for their personal reasons and interests, but we have also trained many who followed their dream of pursuing a career as a horseback adventure guide. Looking back, we'd like to share a few of our past students careers. For about a decade I harbored this idea to eventually run my own little Eco-retreat in the wilderness, giving my guests guided tours and educate them about the critters and plants to help them reconnect with nature. My name is Berit, and I am a 33 year old German wildlife ecologist. "I decided to leave the academic lifestyle and I love being in the outdoors, living and working in remote places and I felt that I wanted to make this passion of mine a way of earning a living. When I stumbled across Chilcotin Holidays during my internet searches for horseback adventure guide training courses, I felt that they offered exactly what I was looking for with their 2-week Wilderness Guide School, which gives you the experience to work as a horseback adventure guide. I packed my stuff for a year's adventure in Canada, a country I had only been to once before, about 20 years ago. Now, after my training as a horseback adventure guide, I feel even stronger about establishing myself in the nature tourism industry, and my time at the ranch has provided many opportunities to try out new activities as well as acquire new skills - some of which I never thought I would ever be doing, such as shoeing a horse or shooting a rifle. And riding the horses in the flowery alpine meadows under snow-capped mountain peaks was simply amazing. At Chilcotin Holidays I also helped out with the Wilderness Stewardship Foundation, an organization that conducts research projects into the conservation and restoration of wildlife habitat in the adjacent area. During this time I learnt a lot about the local flora and fauna, and especially realized the extent of the spread of invasive plants, which even occur in such remote areas as here, causing a threat to the health of the local ecosystems. 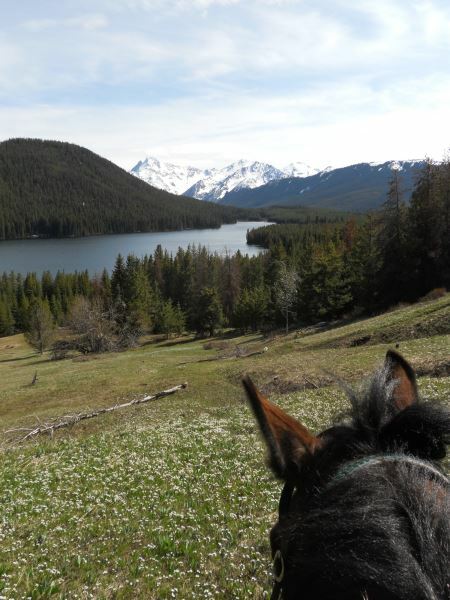 All in all my stay at Chilcotin Holidays was a real eye-opener to the possibilities offered by the nature tourism industry, and I truly loved learning how to become a horseback adventure guide. Working in the stunning Canadian wilderness truly has set my mind to keep pursuing my plans to combine my ecology background with the outdoor tourism lifestyle." Do you dream of being a Horseback Adventure Guide or starting your own business one day? Send us an email to adventures@chilcotinholidays.com or give us a call at 1-250-234-2274 to learn more about the opportunities we offer!